We recently traveled to China to attend the lone press day of the hectic Beijing Motor Show. 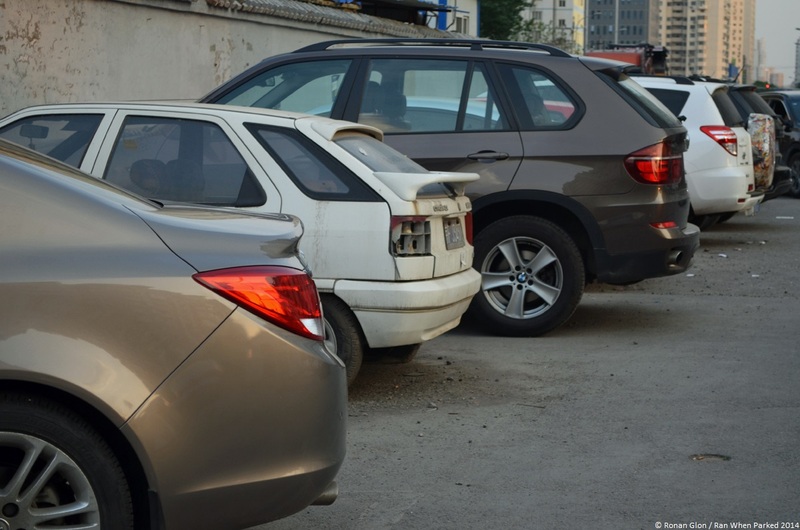 Walking around the city in our downtime, we were surprised to find that there are more abandoned cars in Beijing than we initially thought. Most of these cars are hiding away in residential neighborhoods, you won’t see them in the touristic sections of the city. Like we mentioned in the CX article earlier this week, private cars were very rare in China before the early 1990s – statistics indicate there were less than 20,000 private cars in all of China in 1985 – so a car built in the late-1980s is pretty old by local standards. In Beijing, most cars on the road appear to be less than a decade old. The w124 was never officially sold in China by Mercedes and the example pictured above was likely imported by a diplomat. It’s interesting to see this car abandoned because it is a relic from a time period when owning a Mercedes-Benz in China was a very big deal. Now, Benzes are a dime a dozen in major Chinese cities and the automaker even builds market-specific long-wheelbase variants of the C-Class and the E-Class. Below is a gallery of forgotten vehicles we saw while walking around Beijing, and we’ve added four pics taken in a small town approximately an hour outside of city limits.